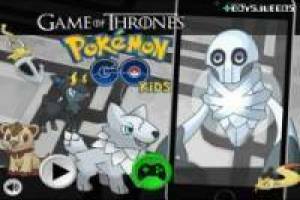 If you have already played Kids and Pokémon you liked, you can not miss this fantastic version set in the hit TV series Game of Thrones. 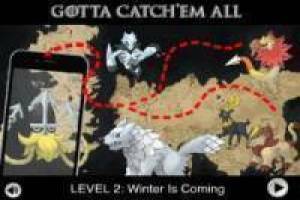 Travel to the land of the West and Essos to capture Pokémon before winter arrives. As in the first version, you have to capture Pokémon with your phone, but you can only catch the species that appears in the bottom right of your screen. As you catching, new species can also capture in order to successfully pass the level will appear. Spend levels and get all Pokémon that inhabit the land of Game of Thrones and so become the best Pokémon trainer. Are you ready for this new adventure?. 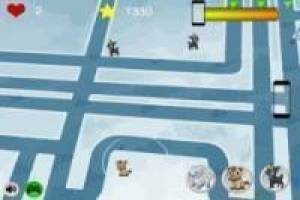 Enjoy the game Pokemon Go Kids version Game of Thrones, it's free, it's one of our pokémon games we've selected.